First and foremost You have only one chance to make a first impression and real estate staging is exactly that: giving the best first impression to potential buyers. A professional home stager will research the current trends in the market and the buyer demographics in the area. A professional stager will strive to provide emotional connections to buyers to your home and will provide furnishings and accessories that appeal to broadest range of your buyer demographic. 2. Staging sells your home faster. 3. Staging sells your home for more money. For most of us homeowners our home is our largest investment, so when time comes to sell we should treat it as just that: an investment. Staging studies show that staged homes sell for at least 8-10% more than their non-staged counterparts. Today’s buyer is more likely to pay more or have less objectives if the house is perceived as turn-key. 4. Staging is a great listing tool. Having your home staged will make it look better in the marketing materials which results in more showing activity. Real estate agents will be more likely to bring their buyers to see a staged home as they see them as properties ready to sell. The result is a lot more EXPOSURE for your home and a product which will stand out from the COMPETITION. As a seller you might want to consider staging your house if it is ‘market-worn’ or at the end of the listing period. The house can then be re-introduced to the market as the “Hot New Property”! 5.Staging always costs less than your first price reduction. The BEST time to stage is BEFORE you list your property. When a house first goes on the market, it usually receives a lot of interest from real estate agents and the buyers. That’s the time to strike. Once that first wave of interest passes, time can become an enemy for a seller. The next best time to stage is NOW. Consider staging before reducing your price – you wont believe how much impact staging your home can have! Contact ReImagine Interiors today for a consultation. Home staging services for Chester, Delaware, Montgomery Counties and the Main Line Philadelphia. So you’ve had a professional home stager come to your home and you’ve done everything that they recommended in order to get your home sold fast and for top dollar. Now you probably wonder how are you going to keep your home show ready all the time. Model homes make us dream about living there, but living in your own home while it is being staged can be exhausting. Your home doesn’t have to look show-ready ALL the time because the way we live is different from the way we stage a home to sell. 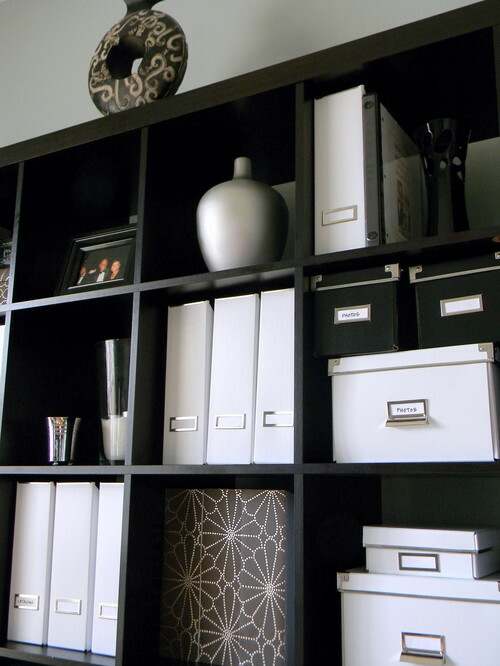 The key is to contain you personal items so your home can become show-ready at the last minute. Now that you’ve packed up all the things that are not needed for the next few months, keep in mind this is not the time to be buying more toys or kitchen gadgets. We want buyers to think that there is adequate storage and staying organized is easy so don’t try to shove everything off counters into kitchen cabinets and closets at the last minute. Buyers will probably open every cabinet and drawer unless it’s furniture. Instead you can use a basket or a box to store keys, mail, bills, unread magazines etc. and keep it in an out-of-the way place such like in a drawer in a desk. It will not only eliminate a cluttered appearance, but it will also protect your privacy. Remove all toiletries from the bath counters and showers because buyers don’t want to see your used bottles of shampoo and body wash. Think “spa” or “hotel”. If you don’t have a closed cabinet under the sink, purchase baskets to store these items. Your home stager probably recommended white, new and fluffy towels be displayed during showings. You can keep the display-only towels, on the towel bars, and hang your regular towels elsewhere. Before a showing remember to remove the laterr and put in the washing machine or laundry basket. 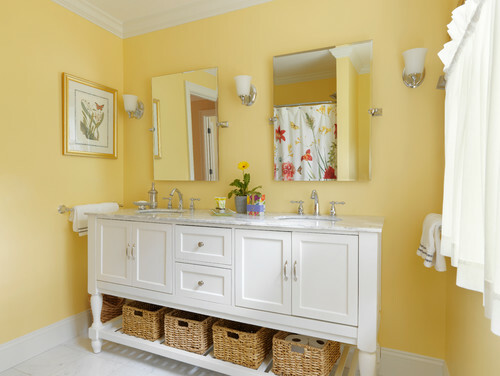 Another option would be to have the new towels neatly stored in a linen closet or in the cabinet under the sink. Before an open house do the towel switcheroo. 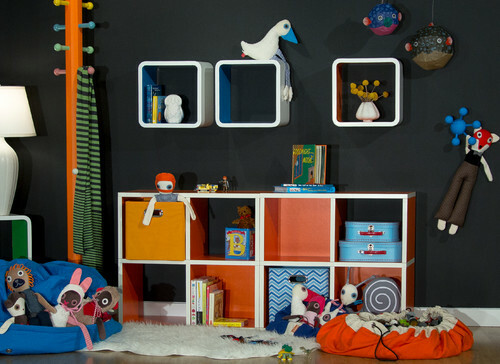 At the suggestion of your home stager you’ve probably packed away some or most of the toys(children only play with maximum 10-20 of them anyhow!). Make sure you have storage bins or chests in which to put these items. They make for a much neater appearance. There are many other things that should be done prior to showing your home and having an open house checklist handy is helpful so that you know exactly what you have to do. Selling your home in Chester County? Then this is the time to see your house as a buyer not as a seller and critique your home the way you would if you were buying. I find it always helpful to really see a room’s flaws is by taking photos. The camera has a way of revealing what the eye misses. The goal of staging your home is to emphasize the space, functionality and features AND help the buyers envisioning living in your house. 1. Curb appeal. 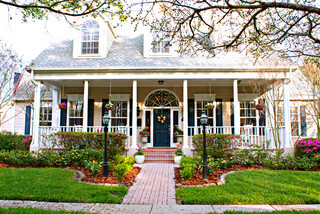 The first impression buyers will make of your home whether online or in person is the outside of your home. This is a good time to give your front door a fresh coat of paint . Also, it’s amazing what adding a few plants and fresh mulch does to improve curb appeal.2. Clean, Clean, and then Clean again! Nothing is a bigger buyer turnoff then a dirty home or an unpleasant odor. A well maintained, clean home is one thing that all the buyers are looking for.3. Lighten and Brighten – cleaning the windows is going to bring in as much light as possible. If you have bushes and trees that are blocking the windows trim them. Sometimes removing the window net is going to help too! Replace all burned out bulbs, and swap out lower wattage ones for higher wattage one. Remove or replace or take down heavy drapery and curtains so the focus will move on your windows. 4. Removing outdated wallpaper and painting in neutral colors.Because neutral colors go with almost any décor this makes it easy for buyers to see their furnishings in your home. And neutral doesn’t have to be boring! 5. Declutter and remove excess furniture: The purpose of home staging is to make the buyers see your home in it’s best light and for them to be able to envision themselves living there. The buyers should focus on your home, its square footage and architectural details with no distractions. 6. Buyers don’t want your deferred maintenance: Studies show that today’s buyer is looking for a turnkey home. Small issues that you’ve been putting off like broken doorbell, squeaky door hinges, chipped paint or molding – should be solved now. It really goes down to anything that buyers will note as a negative. 7. Call a professional Chester County home stager for a consultation today! As a professional home stager serving the greater Philadelphia area I’m an expert at preparing your home for the real estate market, making it stand out from the competition. Professional Home Stagers know what buyers are looking for, and how to draw buyer’s attention to the home’s best architectural features while downplaying the possible price eroding items. If you are thinking of selling your home in the Greater Philadelphia area, or it has sat on the market for a while now no respectable offers call ReImagine Interiors @ 484-318-5629 for a home staging consultation. At ReImagine Interiors we’re trained to know what makes a home sell and we offer a wide variety of staging services all geared to help you sell your home!